Get upto 30% OFF on all Bookings. No Hidden Cost. No Convenience Fee. 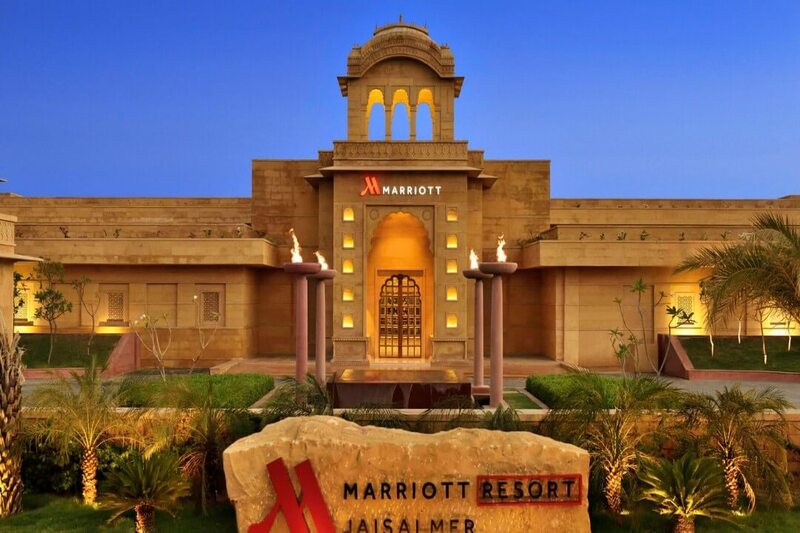 Situated in the middle of the majestic Thar Desert, the "Golden City of India", Jaisalmer has become the preferred destination wedding venue in India for tourists and couples alike. Surrounded by glorious forts, historical memorials, and beautiful sand dunes, the city features various heritage venues to tie the knot in a royal style. 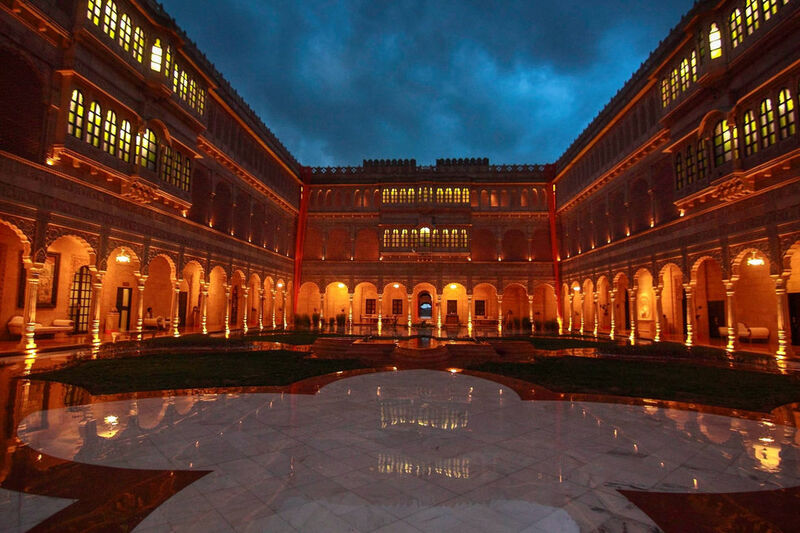 Many of the palace & fort venues in Jaisalmer, are old havelis restored to become grand hotels. People who wish to marry in a royal style can very well consider the magnificent 5 Star wedding venues in Jaisalmer or the luxury wedding venues in Jaisalmer. Destination weddings at the many wedding venues in Jaisalmer can be as luxurious or as basic as wished for as there are unlimited choices to fit all specifications - from an extravagant gathering to an easygoing event. If you’re looking for some local sight visits then these are not to be missed – Jaisalmer Fort, Camel Safari, Sam Sand Dunes, Gadi Sagar Lake, Patwa ki Haweli, etc. You can use Indian Rupee as a mode of exchange in the city. People in Jaisalmer speak Hindi, Urdu, and Rajasthani for communication. A perfect royal wedding can be organized at the various event venues in Jaisalmer by the best of event organizers in Jaisalmer, who have a strong connect with the local industry of party planners in Jaisalmer to help host all sorts of occasions. The choices for destination wedding areas and venues are boundless. Enjoy and celebrate beautiful unions at of the destination wedding venue in Kahala Phata. 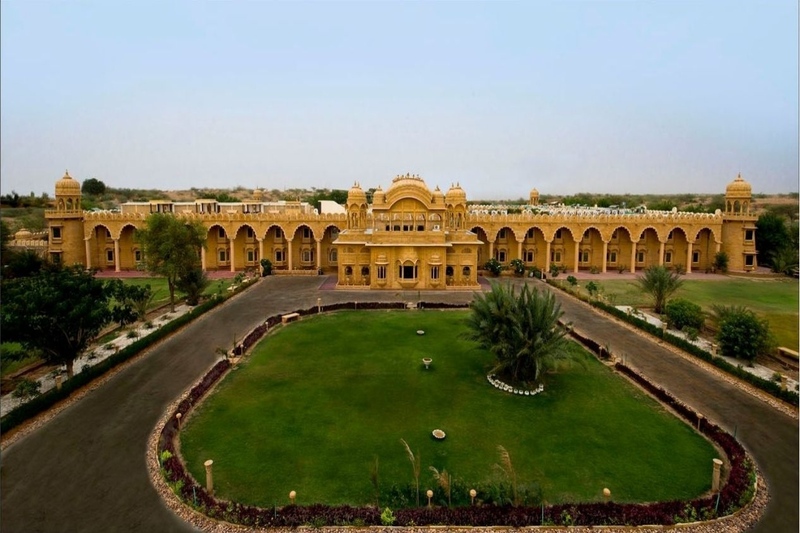 Nestled in the heart of the shimmering sands as a jharokha to the mighty Thar Desert, Suryagarh in Kahala Phata, Jaisalmer is a palatial and luxurious hotel, providing as one of the event venues in Kahala Phata, where one can organize and execute events like weddings and conduct them splendidly. Made out of yellow sandstone, which blends with the colour of the desert, this boutique hotel has fort-like structure amidst the 5 Star wedding venues in Kahala Phata. As one of the luxury wedding venues in Kahala Phata, Suryagarh packs in all and much more to make all wedding day an unforgettable one. From sun-kissed sand dunes and camel rides in the desert, gleaming mandaps, Rajasthani folk music to culturally captivating ceremonies that evoke Indian traditions. Feel nothing less than royalty as one celebrates their union at this imperial wedding venue in Kahala Phata. The combination of courtyards, terraces, gardens and banquet halls in Kahala Phata give a different feel to every event with their array of venues. The hotel also features swanky multi-purpose halls, fitted with a range of modern amenities that are suitable for organising business meetings, conferences or corporate events in Kahala Phata. Their warm and gracious hospitality will definitely be the highlight when one decides to visit or book this banquet hall in Kahala Phata. The venue can accommodate up to 400 people at maximum when seated. Offering with immaculate hospitality services and complete hospitality solutions. Fort Rajwada in Indira Colony, Jaisalmer allows to experience Rajputana royalty with modern elements. Offering picturesque surroundings, it is one of the best destination wedding venue in Indira Colony. With the combination of lush, green lawns and unparalleled amenities, this 5 Star wedding venue in Indira Colony serves as an ideal setting for the big day. As a very popular wedding venues in Indira Colony and in the entire city, the couples tying the knot here feel no less than royalty as among the luxury wedding venues in Indira Colony, Fort Rajwada leave no stone unturned to make all weddings memorable. Spread across 6 acres of land, this actual fort convert hotel , offers one of the event venues in Indira Colony , redefining tradition in a contemporary way. The lawn area of the fort makes for an exemplary wedding location and can seat up to 200 guests. The property has numerous suites, banquet halls in Indira Colony and a restaurant where family and friends can enjoy the event in a commodious manner. Book their banquet hall in Indira Colony, where the inner and outer setting can accommodate up to 1500 people for all special events. With a fusion of traditional Indian, minimalist European and ethnic styles, this hotel combines comfort and character in a seamless manner. An ideal place for both for leisure and business travellers. Similarly, a great venue to host all social gatherings, including the corporate events in Indira Colony.